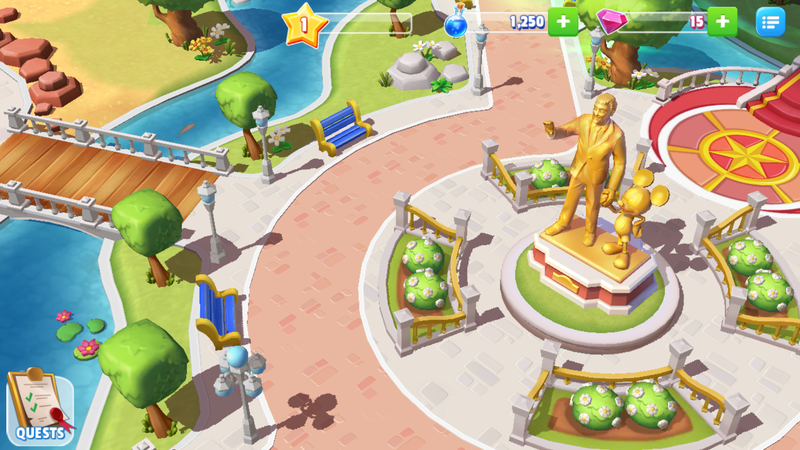 Disney has partnered with Gameloft to produce Disney Magic Kingdoms, a game about building your own park and keeping visitors happy. There's a plot. Maleficent casts a dark spell on the kingdom, and you must restore happiness to this world. Pretty straightforward. 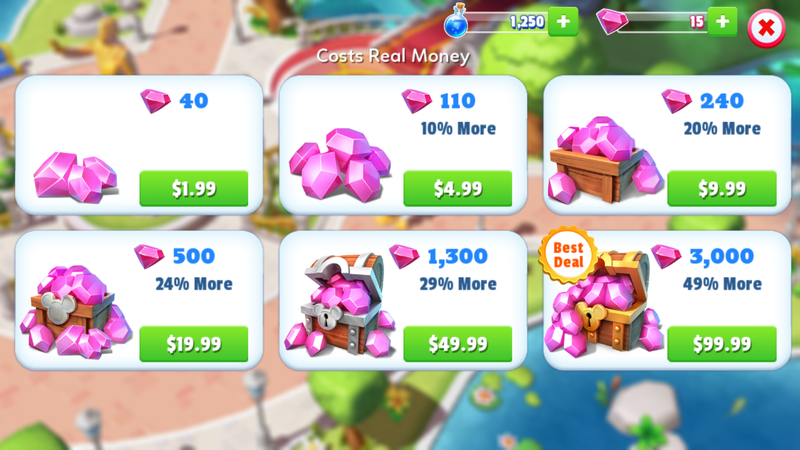 The game is intended for kids, so don't expect some of SimCity's more complex elements to make an appearance. This is mostly about creating small versions of your favorite Disney rides and characters. If hearing that is enough to get you or your kid excited, wait until you see the game in action. The visuals are a vibrant 3D treat. I'm not even remotely interested in Disney's characters and my eyes were still content. If you are handing this over to a child, know that just like Disney World, it may be tempting to spend a bunch of money. Virtual currency bundles go up to $99.99. For that much money, it's almost time to start talking about visiting the real thing. Almost. 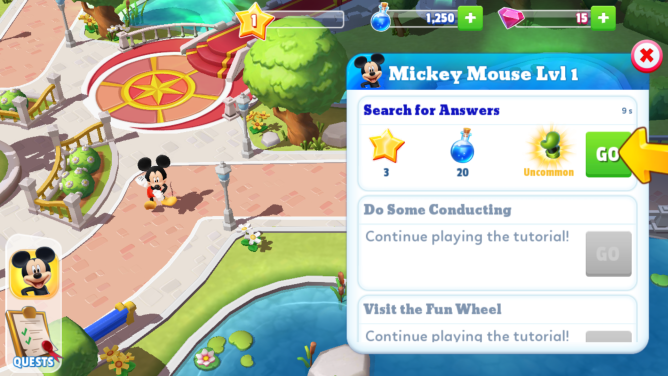 How much you're willing to spend on Disney rides, virtual or otherwise, is up to you.